The Super Stock division served as the debut class for the 2019 Silly Season Portal at Short Track Musings, revealing the plans for several drivers. We learned what Donovan Price, Cory McAllister, and Coltin Everingham have on the card for the new season. The second edition saw us check in with Dan Cabral at Cabral Racing Promotions to reveal plans for six more drivers. Penny Racing reached out to Short Track Musings shortly after the posting of the second edition to let us know that Bryan Penny will be back behind the wheel in 2019. The team has been hard at work preparing a super stock that they plan to run full-time at Peterborough Speedway. 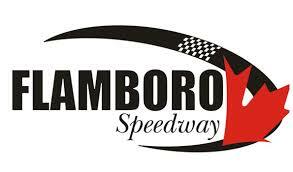 Sunset Speedway’s division will see some familiar faces, as well, with Paul Pepper confirming that he will be returning in 2019. Brandon Passer has also laid down the gauntlet, wanting it known that he will be a threat for the title at Sunset Speedway after multiple trips to victory lane in 2018. Another driver in the same boat is Frank Davey, who has reinserted himself in the conversation after a re-resurgence in his program in 2018 that led to a couple trips to victory lane. You can also include Nick Tooley on the roster as he plans to be out multiple nights in 2019. If the team can land some additional funding, it may be pushed to a full campaign. “At the end of the day – we don’t have the money to make a go of this on our own,” admits Tooley. “We need to sit down with our sponsors, do everything that we can to bring them back and then try and get in the room with a few new marketing partners if we want to be back for a full season. Full Throttle Motor Speedway also got a dose of news this week, with Travis McLean revealing that he will be running the full schedule in 2019. For those who attend Sauble Speedway on a weekly basis, you’ll be happy to learn that Zac Sprung will be back in the conversation in 2019. “I promise that we didn’t just go home and sit on the couch,” laughs the Owen Sound, ON product. “Even when we couldn’t be on track we were working and researching and making sure that when we roll back into the pits this Spring we’re ready to win. Another driver that many fans have kept their eye on is Matt Bentley, and reasonably so as he’s a threat to win every time he hits the track. While nothing is confirmed yet for 2019, he is in the process of trying to put plans together to be out as much as possible.